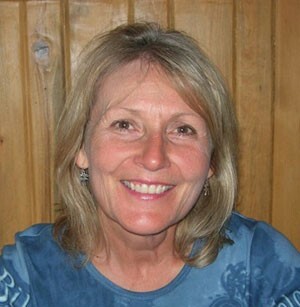 A Connecticut native, Barbara has been exploring and studying Yellowstone for the past fifteen years. Retired from her career as an environmental geologist with the State of Colorado, she moved to Gardiner, Montana where she lives on the Yellowstone River. In Yellowstone, she has worked as instructor for the Yellowstone Association, a guide for Xanterra, driving snow coaches and historic yellow buses, and archival work at the Yellowstone Heritage and Resource Center. Her love of the Yellowstone ecosystem originates from her interest in wolves and the wolf reintroduction program in Yellowstone. Sharing Yellowstone with first time visitors and facilitating a visitor’s first glimpse of a wild wolf are the highlights of her job. When she is not working in Yellowstone, Barbara enjoys traveling and has visited the Brazil Amazon and Pantanal, France, South Africa, the Arctic, the Galapagos and the Ecuadorian Andes and Amazon. Barbara currently teaches Earth Science at Montana State University while conducting research and working towards a second Masters Degree in geobiology. Barbara is a Certified Interpretive Guide with the National Association for Interpretation.